Lots of my colleagues know I’m the remote working girl and tip me off when they see a really great article, Web site or blog. Anyway Rick Hurst didn’t take much arm twisting and has kindly agreed to write a guest blog post on his experiences. My name is Rick Hurst and I’m a freelance web developer from Bristol, UK. My freelance work is a combination of on-site work at web design agencies and direct client projects which I work on from home, cafes or rented desk space. I work with graphic designers and other programmers, sometimes face to face and other times using tools such as skype, unfuddle and dropbox, to collaborate with people thousands of miles away. I also work as Online Operations Director for Kudos Business Technologies, an “officeless” business (selling LED lighting and other emerging technology) which is run almost entirely online, by distributed staff. This summer I spent six weeks touring france in a VW bug with my wife and six year old son, working from campsites as I went, to keep existing clients happy and to earn money to justify taking such a long trip. This was a bit of an experiment, to see if it was workable and sustainable. I’ve always talked about how nice it is that, in theory, as long as I have a laptop and an internet connection I could do my job from just about anywhere, so this was an opportunity to test out that theory. We travelled about three and a half thousand miles in all – starting from Bristol, through the channel tunnel, down through western France and (briefly) over the border into northern Spain. We stayed on ten campsites, some as overnight stopovers – we tried not to spend more than a few hours driving on a single day – and a few extended stays when we found somewhere nice. Our ridiculously impractical car was packed up with camping gear (mostly on the roof), and half a boot full of technology – my main laptop (an old apple macbook), a netbook (as backup, should something bad happen to the macbook), a 12 volt powerpack (the kind sold for jump starting cars), spare laptop battery, mains and 12 volt chargers. I also took a number of solar chargers to evaluate (Kudos are hoping to start selling solar products through www.lightplanet.co.uk), to see if it was possible to work without relying on mains electricity. The solar chargers, a “solar gorilla” and “power gorilla” combo, and another solar panel/ battery combo called a SolarSupra, both work on the basis that it can be difficult to charge or power a laptop directly from a small solar panel in europe, but the panels can be used to charge a battery pack, which you can then use to power/charge the laptop. My experiments showed that these devices could be used to charge up a laptop for occasional use (i.e. enough juice to work for about an hour a day), but not to sustainably power a laptop for full working days. Doing that would require a more elaborate setup, with larger panels and one or more large leisure batteries. This would require me to give up the bug for a camper van, something which I would like to do one day, but don’t have the funds right now! So reluctantly, I had to admit defeat on the solar charging and found myself mainly working from campsite bars where I could plug into the mains. Although most of the sites we went to had electric hook-up, there was a surcharge to pay if you used it. There was also a better choice of pitches if you didn’t need electricity – this was particularly important for us when we turned up in peak season without booking. The other reason to head to the bar to work was to use the campsite wifi. Whether by accident or design, it seems that campsite wifi reception rarely stretches further than the bar and terrace. Some campsites had free wifi, others you had to pay. The paid options varied from workable (i.e. unlimited use for a day/week/month for 6/10/20 euros), to virtually unworkable (6 euros for an hours use!). In addition to wifi, I also had a roaming data bundle with t-mobile – a 200megabyte/ 30 day deal for £40, which came in really handy for checking email on my phone, and the occasional bit of web browsing, either on the phone or with the phone tethered to the laptop. I was surprised to find that I had come nowhere near using up the data allowance when the credit expired. This was probably because I never got a reliable 3G signal, so I was relying on GPRS, which is painfully slow. 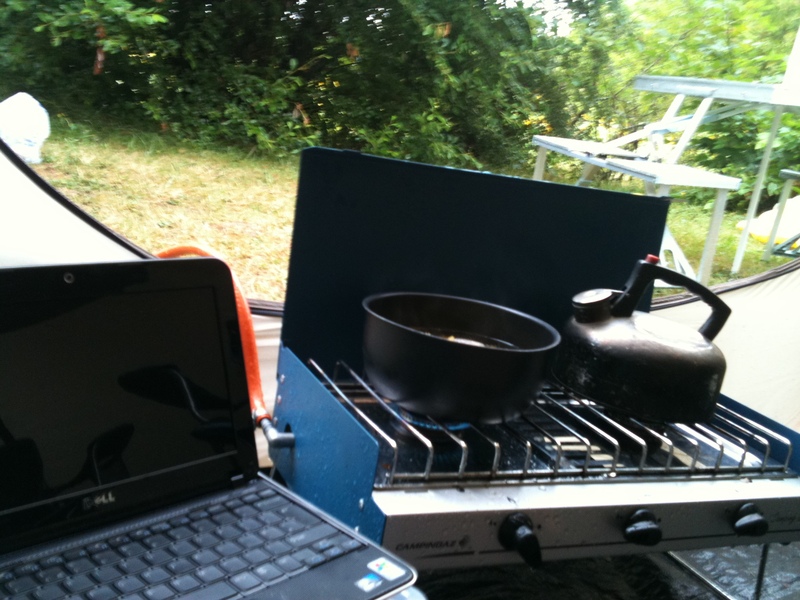 My experience of working from campsite bars varied – some bar staff were more than happy for me to plug in and work all day even though I only bought a few coffees, others didn’t seem so keen, although no-one actually stopped me from working. I had to put up with cheesy europop piped music, persistent flies and even flying glass at one point! But despite that, I did manage to work, and it was really nice to know that I was earning enough money to cover us for the campsite fees we were racking up. The most difficult challenge turned out to be managing the work/ holiday balance. When we were stopping for only one or two nights it was difficult to settle into any work, and on the longer stays we had to work out which days, or part days I would be working and which I would be, ..err, holiday. I found it difficult to switch between work and holiday mode, would find myself stressing about work that I needed to do when an agreed non-work day fell at a crucial part of a project. 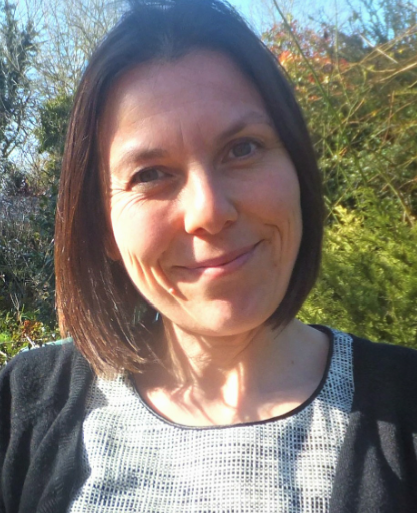 Other times it worked fine – some of my work is maintenance work, where I have a list of things that need adding to or fixing on websites, and it was easy to dip into these bits and pieces of work when a convenient moment arose. All in all I would say that it was a success, and would love to do the same again or attempt something longer term (my son’s schooling would be the main barrier to that). 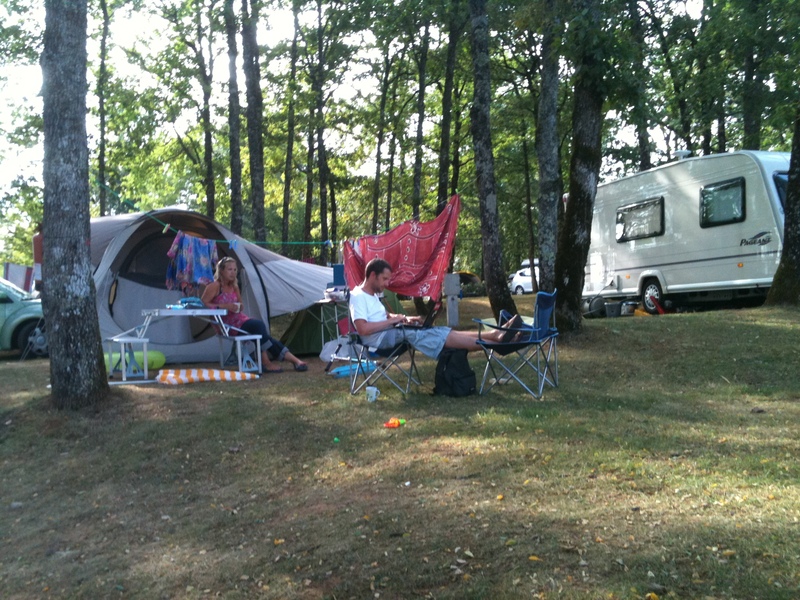 We’ve become expert campers, we explored some wonderful French villages and countryside, my son made loads of new friends, my wife has a suntan and learned some french, and i’m still in business! If we do the same again, I will make sure that we have at least one long stay at somewhere that I know I can work, and probably designate the rest of the time as holiday with “emergencies only” work. However, being freelance this would depend on the type, quantity and quality of work I have on at the time – I don’t always get to set the schedules! The trip was also only possible because my wife is freelance (TV research/production – less portable than web development) and the timing worked with her contracts, so hopefully that will work out again – or even provide an opportunity to try working from another country. This entry was posted in mobile and tagged road. Bookmark the permalink. Interesting article. Shame your solar panels didn’t work. I wonder if there is anyone out there who is managing to work using just solar? Just out of interest what wattage were your panels/ I think you can get up to 130w (17.5v) these days, but most panels are 15w or 30w. Sorry for the late responses, I forgot to check back here for comments! 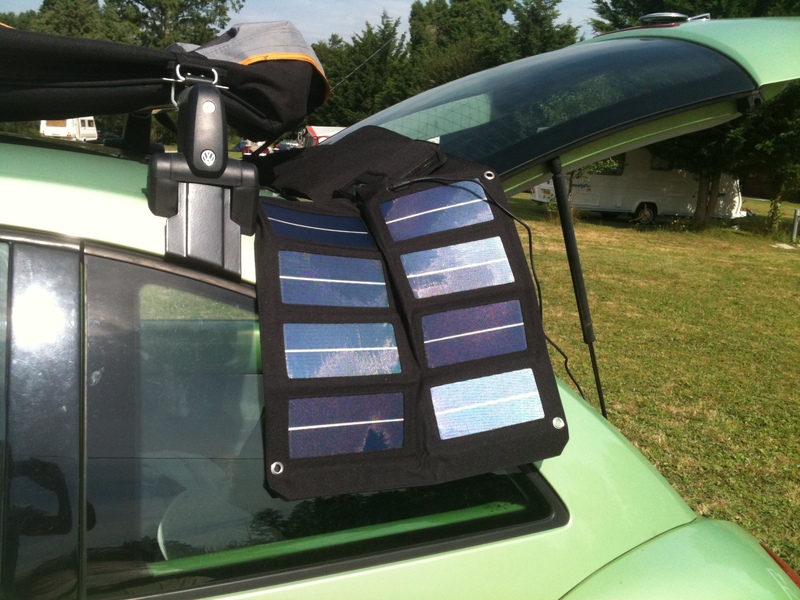 @Sam the solar gorilla outputs up to 10 watts (20V 500mA = 10W), but it is only a small portable panel. The other panel I tried, a SolarSupra supposedly outputs 13.44, but once again this is only a small portable device. 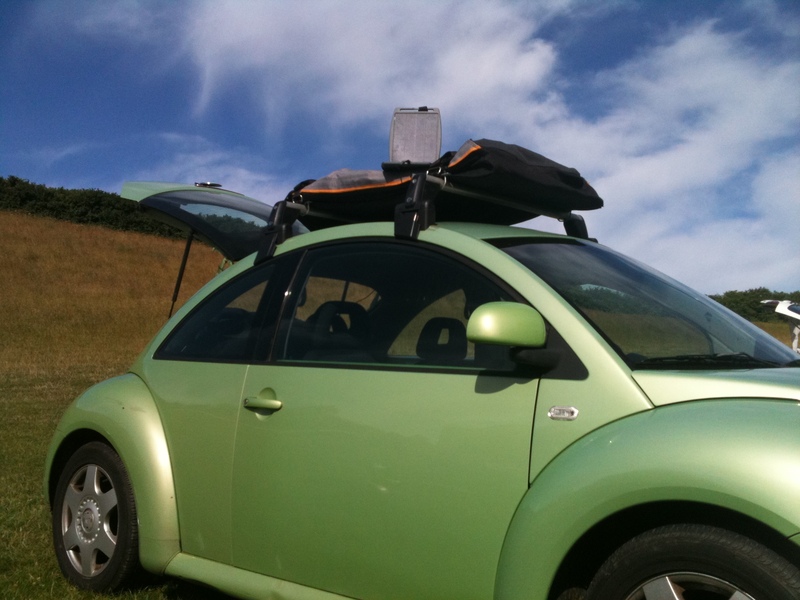 It’s certainly possible to work from solar alone – I just need a bigger car or van, to carry or preferably permanently mount a large panel. Also it’s vital to have a decent leisure battery (or three), so you can store some of that power and work in the dark.